Let's discover the main districts of the city with your private guide! My wife and I had a very pleasant three hour tour with Mari. We were in Lyon on a river cruise and she worked with us to make sure that we saw things that had not already been covered on the tour included with our cruise. We toured the The Croix-Rousse district (silk weavers area) and the revitalized Confluence district. Her knowledge covered the historical to the modern eras of the city. With her guidance we were able to move around the city on the public transportation system with ease. Great Guide! Our guide, Mari, was excellent. Very friendly, knowledgeable and enthusiastic. She really made us feel like we were having a nice day out with a local. Mari took us on a full day tour, from the obvious like Forviere basilica to fascinating nooks and crannies everywhere from Croix Rousse to Vieux Lyon. Never have we learned more in one day about a city's heart. We now have a huge leg up on any other tourist for the remainder of our stay in this wonderful city. TOUR GUIDE RESPONSE: Thank you very much! Enjoy your stay! Mari was very knowledgeable. We booked her for a full day 8 hour tour and she adjusted the itinerary to our preferences. We enjoyed our day with her and learned a lot about Lyon. I would recommend Mari as a great tour guide in Lyon. TOUR GUIDE RESPONSE: Thank you so much... I am glad you liked it. Thank you for coming! TOUR GUIDE RESPONSE: I am so sorry of what happened in the train. Usually everyting is OK. I hope it won't damage your image of Lyon. I am glad you spent good time here. Don't hesitate to speaka bout Lyon to your friends and relatives! ;) and thank you al ot for your comments. Mari is a wealth of knowledge- very delightful person and really provides a lot of content that is personalized to the client- she has a good sense of humor and we felt her English was very good. This was an excellent tour by a charming and very well informed guide. Mari was flexible and also full of ideas for improving the four hours at our disposal. After our tour we really felt we knew and could find our way around this fascinating city. Thank you so much! TOUR GUIDE RESPONSE: You're welcome! Have a nice cruise in France. Mari is great. She knows Lyon very well and in a 1-day, 7.5-hour tour, took us to many very important Lyon highlights. She was very knowledgeable about the history of Lyon and France in general and answered all of our questions. We had a great experience and highly recommend her! TOUR GUIDE RESPONSE: Thank you young Donald! I hope you'll spend good time in Lyon..
Really informative, fast moving (you won't get bored) and it covered "almost all" of Lyon. I would absolutely recommend this tour with Mari. TOUR GUIDE RESPONSE: Thank you! Dont'eat too much brioche à la praline!! TOUR GUIDE RESPONSE: And I highly recommend Jenny as a tourist! Thank you!! We were two people with Mari as our guide in Lyon. She gave us a great overview of the city in 4 hours. She is a wealth of knowledge and has much historical information. She was flexible and gave us options of what to see. We felt we had seen and learned a lot about the city. She is an excellent guide and a lovely person as well. TOUR GUIDE RESPONSE: I hope you liked the city and could see anything you wanted! Bye bye! I never had such an interesting historic lesson ever in school! It was GREAT to learn about history, background! The three hours went SO fast! Excellently done and go on like this! TOUR GUIDE RESPONSE: I hope I can give the roman tour again thank to you.. It was a pleasure to go off the beaten tracks with all of you! I hope you spent a good friendly time. This private tour for my wife and I was great. We had only a half day to see the highlights of Lyon because of a layover between trains. I had asked, prior to arriving in Lyon, that Mari include a view at the local market and that she arrange dinner for the three of us at a place that locals would frequent. Mari was a pleasure to work with. 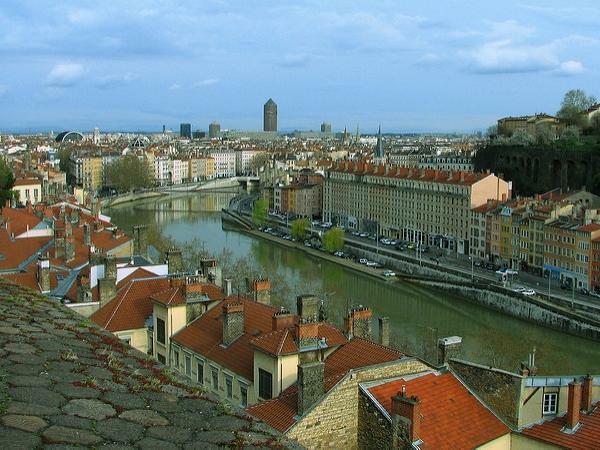 She is very knowledgeable about the history of Lyon and navigates the city with ease. Well worth the price of the tour. TOUR GUIDE RESPONSE: Thank you Mr & Mrs Green! I am happy that you liked my wonderful town... Thnak you for coming! We were first time visitors to Lyon. Mari gave us a great tour and helped us understand the public transportation, cuisine, history, and traditions of this remarkable city. Her instructions for meeting were concise and easy to follow. Her knowledge of Lyon is very comprehensive and her enthusiasm for her city was well communicated. Thank you Mari for an interesting and very fun morning in Lyon. we could not have had a better introduction to Lyon. Mari was an excellent guide, very knowledgeable and very informative. TOUR GUIDE RESPONSE: Merci Marie-Odile! Mari was excellent! Great walking tour of Lyon. Great insights into the history and foods of Lyon. Excellent tour with Marion in Lyon! We spent a day discovering Lyon and learning about the city. Highly recommended! TOUR GUIDE RESPONSE: Gracias! It was nice to be with you and your sons and spoke about things and others. 5 out of 5 stars. She was extremely prepared and answered all of my questions with no doubts. It was a wonderful experience. Mari was an extraordinary tour guide. Mari was pleasant and knowledgeable and flexible. She created a highly customized tour for me - morning was about the Resistance, afternoon was Culinary. She hit the mark on all points. We visited places relating to the Resistance that I never would have known about. I would definitely book another tour with her. Mari is as knowledgeable about the Beaujolais area as she is about Lyon. She communicates so well and easily holds your interest as she tells the stories of the Beaujolais. A truly delightful guide experience to be described only with superlatives. Book her if you can, and you will be in the capable hands of the best! TOUR GUIDE RESPONSE: Thank you so much for your comments Bill. It seems that you are as best vistors as I am a guide! Thank you for coming and keep in mind that there are still a lot of things to discover in the Lyon region! Best regards. Mari is the perfect guide! She knows and loves her city of Lyon, and can tell its history with accurate and interesting commentary. She is a knowledgeable, charming and delightful to be with. I highly recommend her. She will help to make your visit to Lyon complete. Mari had perfect understandable English. She was thoroughly knowledgeable about the city of Lyon. As a history buff I would have liked more history on the city namely the info on the cuisine, however my family had been perfectly satisfied by all her comments. TOUR GUIDE RESPONSE: Thank you Arlene for your comment. I am sorry you were disapointed by my tour. You could have told me excatly what you wanted so to be very happy with the tour. I apologize. Best regards. Mari was the perfect guide. We received an amazing overview of Lyon. She is very personable, knowledgable and has a great sense of humor. She gave us the incentive to come back to Lyon for a longer stay. We highly recommend her! TOUR GUIDE RESPONSE: Merci! I hope to see you back in Lyon to show you the other places you've haven't discovered yet! TOUR GUIDE RESPONSE: Gracias por el comentario. Me alegro saber que os gusto el restaurante. Espero que lo pasasteis muy bien en el Sur y no olvidais que hay mucho mas que ver en Lyon...tendreis que volver! Mari provided us with a custom tour of Lyon that spanned history and the town's geography in an fascinating manner. We went to the Basilica and through the hidden passages. Only wish we had more time with her to explore more. Will need to go back now! We had a wonderful time with Mari last Monday, Dec. 14. She was very prompt. She brought us to Fourviere, Vieux Lyon, Presquile and Bellecour, all the while giving us the highlights of Lyon. Mari was very informative, entertaining, enthusiastic and we felt really welcome. It was a short tour but a good background about Lyon. 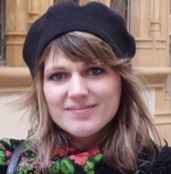 Mari is a great tour guide, she is knowledgeable, considerate and definitely passionate about Lyon. She made us feel like her guests and not just clients for the day. Thank you! TOUR GUIDE RESPONSE: You're welcome...and thank you for the mangoes. I love it. Don't hesitate next time you come, Lyon still has a lot of things to discover and some secrets. The tour was excellent - will definitely recommend this tour to other people. Mari really went the extra mile. Mari was great - energetic, well informed, and loves her city. She was a very pleasant person to spend time with so I wish we had more than our 3 hour tour.